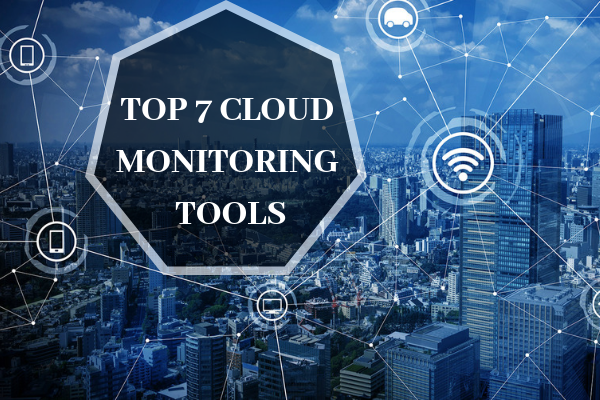 The modern trend prevailing amongst the organizations shows a gradual shift towards the advanced system of cloud monitoring for the management of tools. These tools play a crucial role in ensuring the safety of the network via means of cybersecurity against any such alleged cyber attack. One of the most popular cloud monitoring tools is the Amazon CloudWatch as it provides services for AWS cloud resources and applications running on Amazon AWS. The tool lets you view and track metrics on Amazon EC2 instances, AWS resources such as Amazon EBS volumes and Amazon RDS DB instances. It gives you an insight into your computer’s overall performance. The tool comes packed with a wide range of applications for the daily living as it allows you to collect and track metrics, collect and monitor log files, set alarms, view graphs, statistics and automatically react to changes in your AWS resources. Microsoft Cloud Monitoring is a monitoring system that can be considered whilst using Microsoft Azure. The working of MCM is the smoothest amongst all as it immediately provides the organization with all the insights concerning workload via monitoring all the basic monitoring applications, analyzing the log files or by identifying the threats to the security of the network. This tool gives away the full view including the performance, utilization and also the working condition of applications. But most importantly Microsoft Cloud Monitoring tool is equally easy to set up which makes things easy for an organization. Moreover, just like the Amazon Cloudwatch, the users of this tool also do not need to download any extra software because it is itself built in Azure. AppDynamics is a tool which has been acquired by Cisco Systems in the early 2017. This tool is fairly unique from any other because of its design which revolves around the delivery of rich performance data and learning which is further combined with the ability to adapt to any environment or infrastructure of the organization. This tool works in certain layers depending upon the approach of the organization to application intelligence. Despite its complex basic structure, it provides various services which make it worthy of it. The tool gives a package deal of tracking the activities of the business via various parameters such as the transaction volume and the level of services provided there too. Special emphasis is laid on the optimization of latency along with its capability to analyze the current scalability limits. Because of these features, it is compatible with almost all the Java Virtual Machineries and application servers where Java is 1.5 and above. Further, AppDynamics supports various cloud platforms like AWS, Microsoft Azure, Pivotal, Rackspace, Kubernetes, Citrix, IBM, Docker, HP Cloud Services, OpenStack and many more. Cloud Monix is basically considered as the successor to AzureWatch as it provides for advanced cloud monitoring and the automation across one or more Microsoft Azure Subscriptions. It basically deals with monitoring of the dashboards and also the measures to track, inspect and analyze all the required information that too from the same place. For the purpose of tracking, it uses a special feature of issue tracking where identical issues are identified. In the tool, stress is also laid on the proper functioning of the system so that it functions all the time hence, the system of automatic reboots is incorporated in order to avoid potential resource leaks. Because of being 3rd party software, the efficiency increases across all the stacks including data-storage, logging or monitoring. The only defect in this tool is that, it supports only the Microsoft Azure Platforms compared to other tools in the market. This tool revolves around the concept of intelligent managing complex combined with the ever-changing cloud applications and infrastructure. This tool further provides for a real-time working of cloud applications and servers. One of the most important features was that it provides useful insights of the stack which ultimately helps in resolving any matters quickly by isolating them one by one. ExoPrise is considered one of the best tools in the field of security and optimization of applications which aids in keeping the cloud apps in top condition in all times. The tool in itself deals with a number of applications such as Dropbox, Office 365, Salesforce.com and Box. It helps the organization in multitasking at the same time as it allows a comprehensive use of Office 365 at one end while simultaneously troubleshooting, detecting outages and fixing any problem before it impacts the organization. This tool is completely user-oriented as it is developed keeping in mind the needs of the users. Since it is more accustomed to uses of the developer, it aids in tracking app execution, system logs, and errors by also ensuring the creation of high-quality code by the developers all the time. This also increases the productivity by making their lives less complicated. Developers can also find anomalies in the codes which are generated by the developers of the tool before the customers do the same. It also comes at an affordable range capable of fitting the needs of small and medium businesses. These are jus a few of the numerous top tools available for cloud monitoring. One thing which is essential is that, cloud monitoring is done to monitor the actual applications of the organization rather than mere physical servers. Each option amongst the one enlisted above has some pros and cons, so the organization must cater to the specific needs and shall not be incorporated without testing them to see whether the optimal solution is reached or not using free trials.